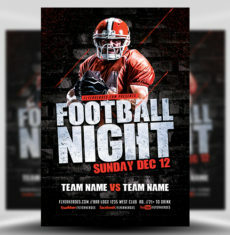 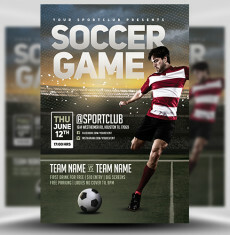 Whether you call it soccer or football, we have the templates you need! 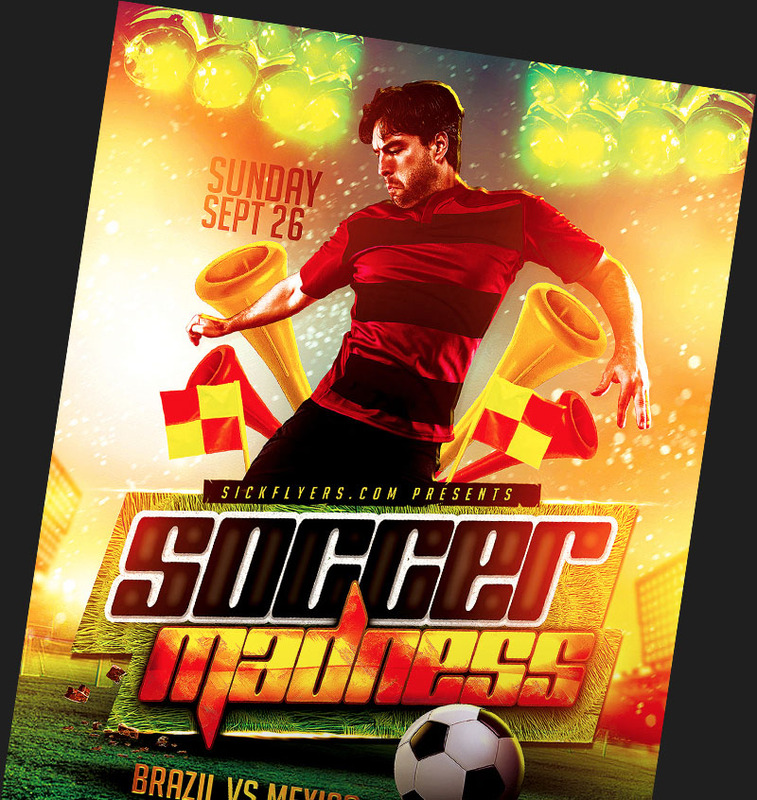 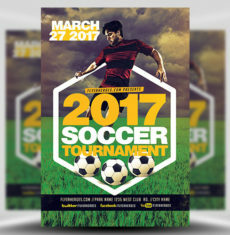 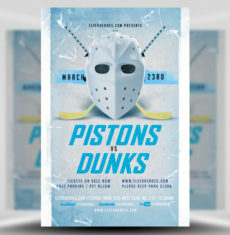 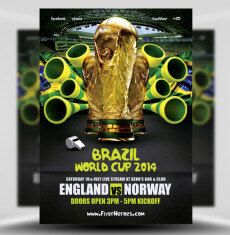 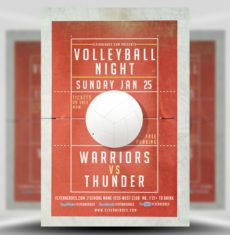 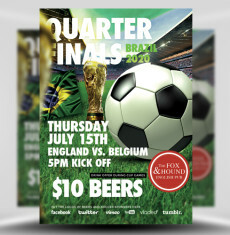 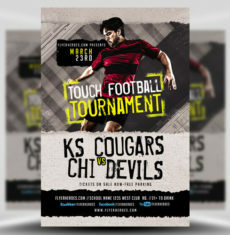 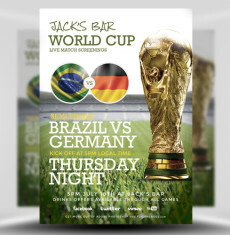 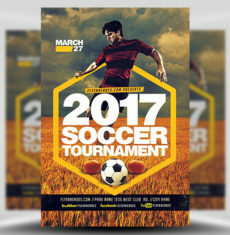 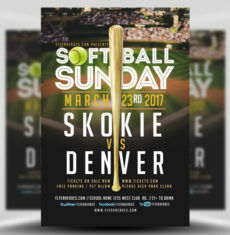 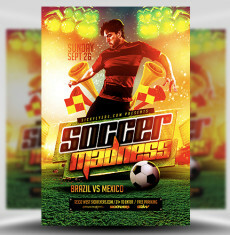 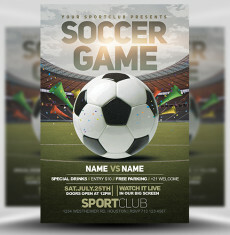 Our easy to use Photoshop PSD Soccer Flyer Templates enable you to create pro designs with very little effort. 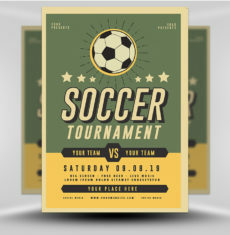 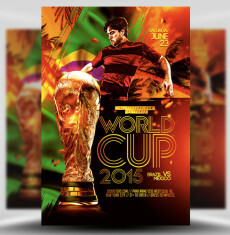 Our Soccer Flyers are great for promoting football matches regardless of size – from small and local games to huge international televised events.